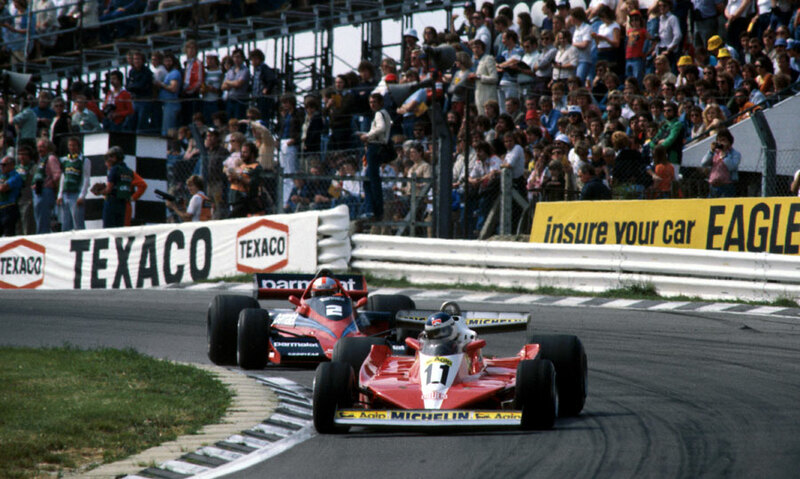 Ferrari's Carlos Reutemann injected some much-needed competition into the season with victory at the British Grand Prix, beating Niki Lauda after an action-packed race at Brands Hatch. Mario Andretti came into the weekend with a commanding lead in the drivers' championship, so much so that several newspapers were saying if he won again it would in effect make him champion-elect. Andretti and Lotus team-mate Ronnie Peterson dominated practice to take the front row of the grid, but thereafter little went right for them. Andretti led at the start with Peterson taking second place as they rounded Paddock Hill Bend, but after only six laps Peterson pulled out with a leaking fuel pump, leaving Andretti to press ahead. But he too was forced to stop with engine problems allowing Jody Scheckter a brief lead until his gearbox showed signs of trouble and he was unable to respond when Lauda challenged for the lead. Lauda led from the 34th to the 76th lap, but when he was baulked by a slower car, Reutemann pounced and shot past. He slowly opened a five-second lead, aided by Lauda missing a gear change, and although he eased off to preserve his tyres late on, he hung on to secure his second win of the season. Lauda, whose tyres were in pieces, nevertheless set the fastest lap of the day in cutting Reutemann's lead to a little over a second. John Watson gave the 100,000 crowd some cheer by taking third, but James Hunt's woes continued when he skidded out on the 8th lap while lying back in 14th. "I wish I could tell you what happened," he shrugged. "The car was handling badly and I made a mistake."